Redundancies are common in a recession. But many employers get caught out because they don’t really understand what redundancy means or what they need to do. As a result, they end up having to pay out compensation that could have been avoided! 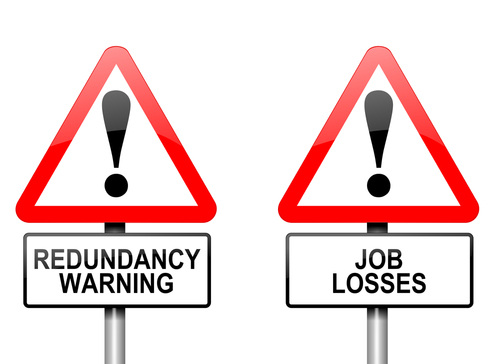 In this blog, we look at what redundancy really means. Next week, I will show you what you need to do if you need to make people redundant. If you are closing down your business or the department where the employee worked or the location where he was employed, their position becomes redundant. If your business no longer needs as many employees to carry out the work, you are in a redundancy situation. you are replacing employees with mechanical or computerised methods of working. A company employs six machine operators and then decides that it only needs five machines. It decides to make one person redundant . The company selects a forklift truck driver for redundancy and one of the machine operators is transferred to be a forklift driver. This would still be classed as a redundancy because there was a reduction in the need for employees and the forklift truck driver was dismissed as a direct result of this. Even if you are in a redundancy situation, you will still need to follow a fair procedure and select employees for redundancy on fair grounds. Next week, we will consider the three components of a fair redundancy procedure. If you need help and advice on a possible redundancy situation, call us on 01604 601 575 or complete the form below and we will call you. Previous Entry: Can You Sack Someone for Criminal Acts Outside of Work?